Preheat the oven to 250 degrees. While it's heating up, unwrap all the candy. Dump the pretzels on a cookie sheet. Don't worry about arranging them, just make sure they are in a single layer. 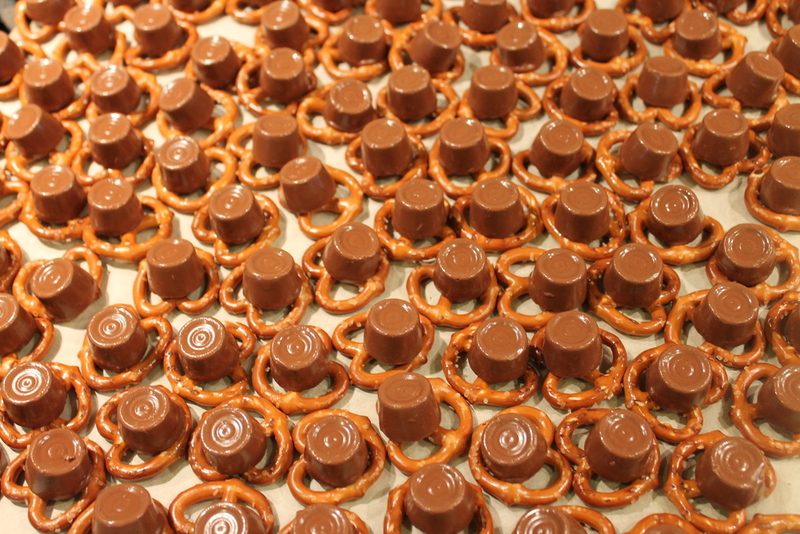 Now put a piece of candy in the center of each pretzel. Put them in the oven for 4 minutes, then take them out and push a pecan half down on each piece of candy. That's it! Don't expect the candy to melt. It will hold it's shape until you place the pecan. I put them in the refrigerator for about an hour to let them set up again. These are the perfect little bite of salty, crunchy & sweet. Whenever I make them, I double the amount because they disappear so quickly. November 29, 2012 by Lynn Adams.